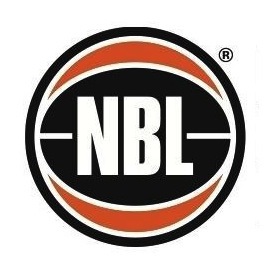 BBNZ would like to congratulate the Buller Basketball Association on thinking outside the square and developing a new initiative in their area. Recently Buller Basketball has combined with the local Cricket and Volleyball Associations to secure funding for a full year, full time Development Officer position. The three codes share the role with each sport using the development officer during the peak time of their sport. Basketball has the use of this position for the best part of the winter months. This initiative shows that there are other ways to approach problems such as a lack of resources; financial or physical. The three codes involved acknowledge that it was unlikely in a small community that they would each be able to fund and support individual roles within their sports. This approach has allowed all three codes the opportunity to access a resource and support the development of their sport in Westport and local environs. ParkLife Ltd is a company that creates active spaces to keep communities fit and social. One of the founders is Sally Farmer, former Tall Fern and Olympic Basketball player. 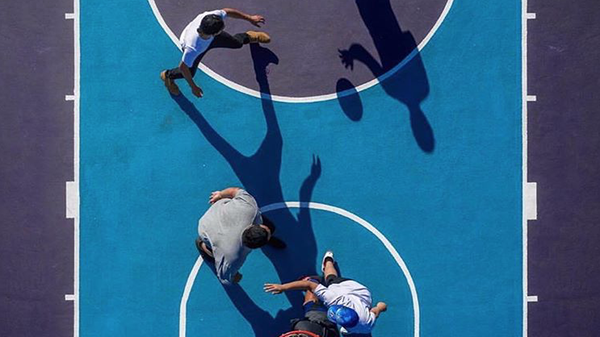 With a love of the game, Sally and her team have worked with Local Government to put in new and refurbished basketball courts in public spaces. Here is one of ParkLife’s latest projects in Auckland that followed the most cost effective method of creating a great facility – upgrade an existing dilapidated court. For this project, ParkLife were approached by Auckland Council to design and carry out the work to refurbish the court. Funding was allocated by the Albert-Eden Community Board and works were completed early this year. ​In Auckland for example by 2021 the city will be 21 indoor courts short to meet demand. It costs $5 million per indoor court. That is $100 million in 4 years to cater for demand. The gap will widen to 42 courts by 2031 and the cost will increase. 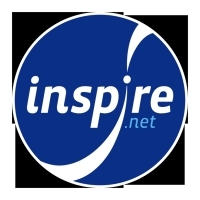 The users are mainly 5 to 15 year olds playing basketball, netball, futsal, badminton and indoor gymnastics. Understand that Councils will have capital works and operational expenditure for parks and reserves and you may be able to convince them to allocate to outdoor courts. A brand new FIBA 3X3 court is approximately $120k. Present Basketball Statistics to your Local Board / Community Board. Many of our elected representatives aren’t aware of the popularity of the game or the pressure on indoor facilities. Outline how your association and the basketball community will use the court. Will you run Kiwi Hoops? Regular scrimmages? 3X3 tournaments? Also explain how casual pick-up games work. Gather feedback from your basketball community about their desire to upgrade a particular court or to install a new court. Get the Council excited about how the Court can be a hub of positive activity and how it can look great i.e. art courts, coloured surfacing, interlocking sports tiles, murals, coloured backboards and hoops. Be willing to accommodate other sports with the implementation of a multi court. This offers a great return on investment for the Council. Be willing to compromise. There may be limited funding therefore advocate for a high quality hoop, a court that reaches beyond the 3 point line and accurate line marking to allow for a decent game. Concrete is the most expensive element of an outdoor court therefore pushing for a full FIBA 3X3 Half Court or a Full Court with no compromise may mean you end up with nothing. Consider the existing courts in your community and recommend high quality upgrades to these as this is the most cost effective approach. A quality refurbished court is approximately $40k. Feel free to contact ParkLife if you would like more information. Hugh Lawrence, former CE for BBNZ and current Senior Advisor, Sport and Recreation at Ministry of Culture and Heritage, has a personal blog page called 'Coaching for Results' where he discusses many topical sporting issues. He recently wrote about junior development and age group rep teams. He has kindly allowed us to reproduce his article below. North Harbour Rugby’s decision over the last few days to scrap its junior representative programmes below the age of 17 has, unsurprisingly, attracted a lot of largely uninformed criticism. So, let’s look at what we know about junior sport – not what we think we know, but knowledge based on sound evidence drawn from research. So three sentences into this post, there’ll be some readers who have turned up their noses up at the term “research”. “What do those academics know that I, a practicing coach, don’t know?” The short answer is; a lot. Junior sport performance, talent development and children’s sport are heavily researched. Sporting codes want to know how to maximise the talent pipelines, what to prioritise and how to build the long-term future of limited talent pools. First, to paraphrase the great Swiss education reformer Johann Pestalozzi, a child is not a small man. I could stop right there. If you don’t, can’t or won’t grasp this crucial idea, there is little chance you’ll have insights to the needs of junior athletes; aka ‘children’. Typically, junior sport competition is organised along age group lines, mostly in two-year bands, so that in some cases there could be players with up to two years age difference. You don’t need to be a scientist to know that not all 14-year olds are at the same level of maturity. Big and little children competing in collision sports matched by age and not physiological maturity seems inherently problematic. I would not be the first coach to observe that players in year two of an age-group programme are better performers NOT primarily because of my coaching, but as we would say “another year older and another year stronger/taller/faster”. In other words, they matured physically, cognitively and emotionally with no help from the coach. But more importantly, junior competition achievement is a poor predictor of future performance. I’ve pointed out before that children stick with sport when they are with their friends, enjoy their time (sometimes known as ‘fun’) and learn something. So, the question is what should be the focus on junior sport programmes. First, the best thing we can do for our children sport is provide them with excellent coaching. At a time in their lives when they are most physiologically, cognitively and emotionally responsive, why do we not prioritise excellent age-appropriate coaching? Second, ensure they have well-organised local competition that enables them, week-on-week, to experience the joy of playing the game, of winning and losing defined broadly and of learning how to compete. Ill-matched bodies with early maturers dominating the play has little merit. Third, well-organised regional competition gives more young athletes the chance to develop their playing skills (technical and tactical) without imposing substantial travel costs on families – an obstacle to many families keeping their children in sport. Recent research shows that in aggregate, younger and later-maturing individuals selected to talent development programmes appear to have greater likelihood of attaining professional levels. We also know that maturation is not a simple matter. The child's chronological age and biological maturation status are central to sports performance development and hard to predict. Despite having all this knowledge, we seem not to learn. For example, research consistently shows the ‘relative age effect’ (players borne close to the age-group cut-off date) seems to influence preferential football selection. The uneven birth date distribution in European elite football suggests that talent selection is influenced by a child's physique rather than skills. But we know that height, muscular development or BMI are unreliable performance predictors because during and following puberty, growth varies massively. 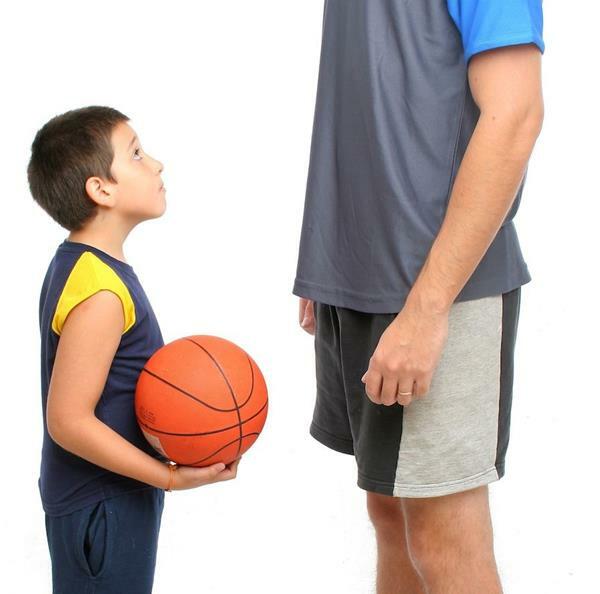 Despite this long-standing knowledge, we still pick the big kids because as the basketball saying goes, ‘little guys get tired and big guys don’t get smaller’. Basketball New Zealand had been able to secure an offer from a local Wellington signage company to produce the BBNZ ‘Let Them Play' banners. 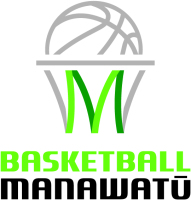 If Associations need a quote for funding purposes, Marija Vidovich, marija@nz.basketball can provide one on request. An example of a personalised banner, in this case, Marlborough Basketball, can be seen on the left. If you are interested in the pull-up banners or any other formats fro displaying this pormotion please contact Marija. An exciting announcement from Nelson College if you are thinking of taking a trip to sunny Nelson. One of their boarding hostels is about to reopen at the end of this month and will be available all year round for hire. Fell House can accommodate up to 100 guests! And they have a dining room on site who can cater for all your meals. Imagine not having to worry about preparing and cooking meals for your group! Comfortable accommodation offers full bedding, towels, wi-fi, laundry facilities, games room, SKY TV, and Fell House is situated only a 10 minute walk from the CBD or a 10 minute drive from Nelson Airport and Saxton Sports Grounds. Other facilities include assembly hall, gymnasiums, swimming pool, and fields. A newsletter from the Basketball New Zealand Community Team. Contact Matthew Ruscoe, Regional Support Manager, on (04) 498 5963 or email matthew@nz.basketball. You are receiving this as you are on the Community Team Database. If you do not want to receive these, click Unsubscribe below.